Accorhotel’s HotelInvest division has confirmed details of five new UK properties to open by September 2017. The first of these is the 120-room Ibis Styles at Ealing Apex in London, which is scheduled to open in June, followed by the 231-room Ibis Cambridge (pictured below) in September. 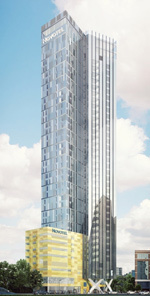 In 2017 the group will open a 146-room Adagio property in Edinburgh, as well as a 313-room Novotel at Canary Wharf (pictured right) – which at 39 floors will be the world’s tallest Novotel property. 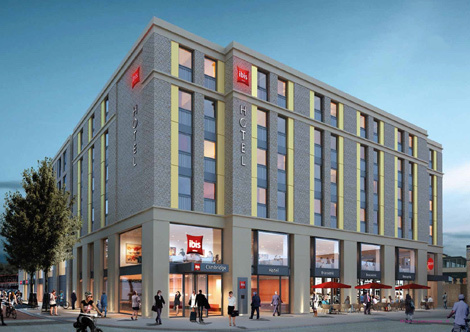 Finally in September 2017 Accorhotels is scheduled to open a 196-room Ibis hotel in London’s Canning Town. HotelInvest is the owner and investor arm of Accorhotels (with HotelServices focusing on operator and franchisor opportunities).